From today, you'll also notice we have added another little button on your new Manufactures list page. This rather little unassuming button has a big effect: it allows you now add a Manufacture without needing to navigate to your Project or Variation page first - hurray! 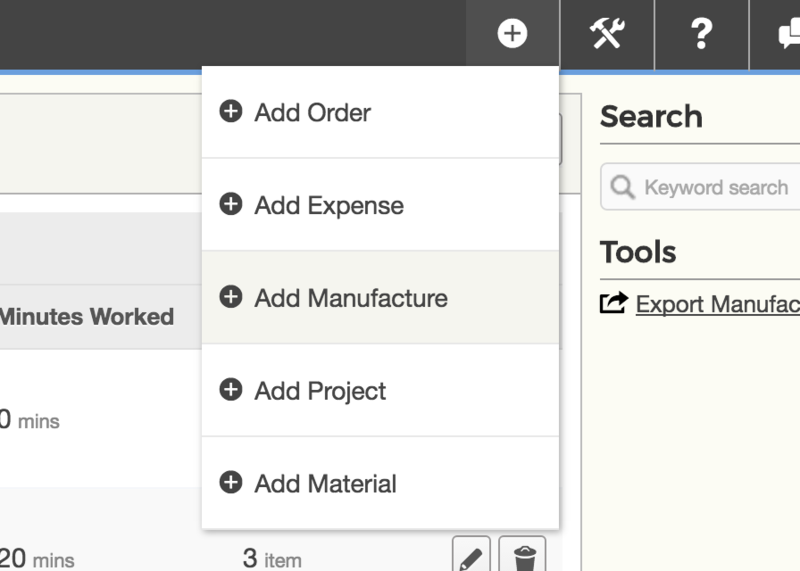 The same action now also appears in your Quick Add menu, so you can now get to your Manufactures form in a single click from any page.